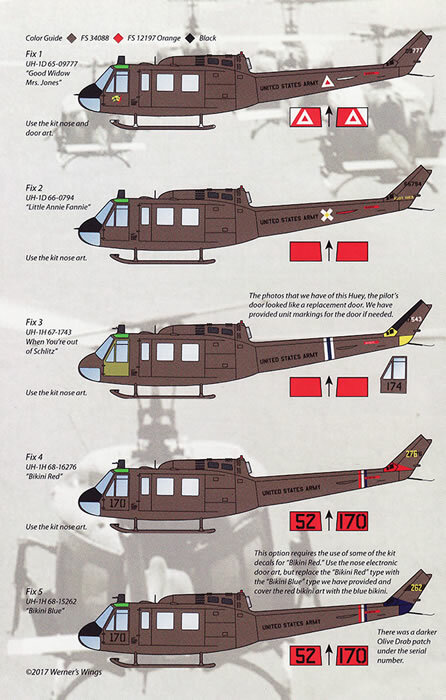 Accurate improvement decals for the new Kitty Hawk UH-1D/H; perfect register, providing further options to the box schemes. 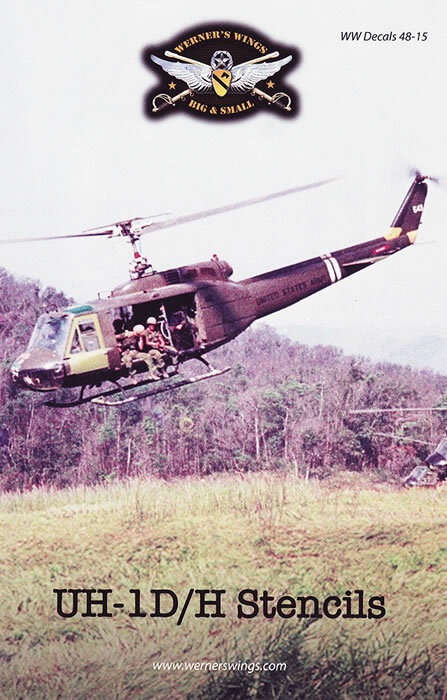 Werner’s Wings has continued to give us products to further enhance and ensure accuracy of the venerable Huey versions. 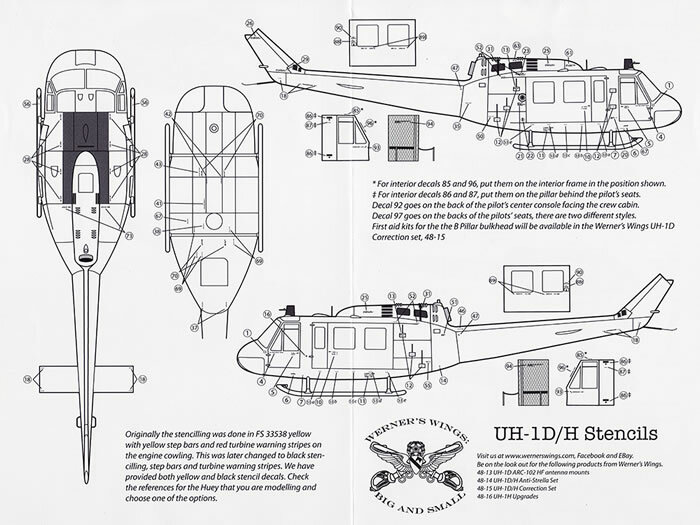 This A5 sheet provides stencils in black and yellow for those that want to build more than one aircraft from the previously reviewed Huey “Ride of the Valkyries set” and while designed for the Kitty Hawk kit they should fit any UH-1D/H kit you have. 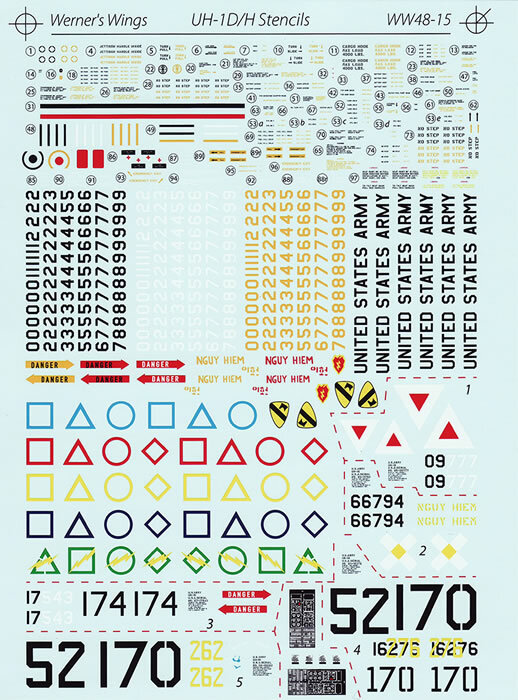 In addition to the stencils, Werner Wings provides corrected versions and profiles for the Kitty Hawk marking option. They also include a decal conversion to one of the markings options in the box, giving you 5 options. This will require you to use the kit nose art markings. The decals themselves are printed by Microscale, are in perfect register, a semi-gloss sheen and, knowing Microscale, will be thin and conform well. 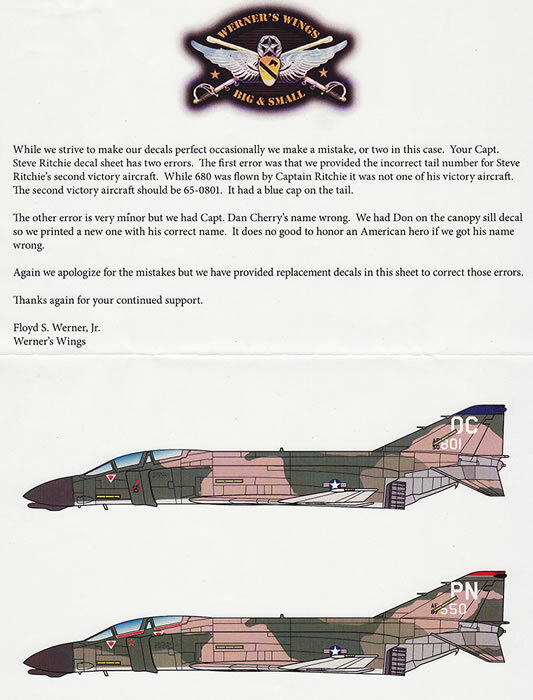 Floyd, in his quest for accuracy and willingness to correct any mistakes he has made, has alerted us to errors in the F-4 Vietnam decal sheet they released. 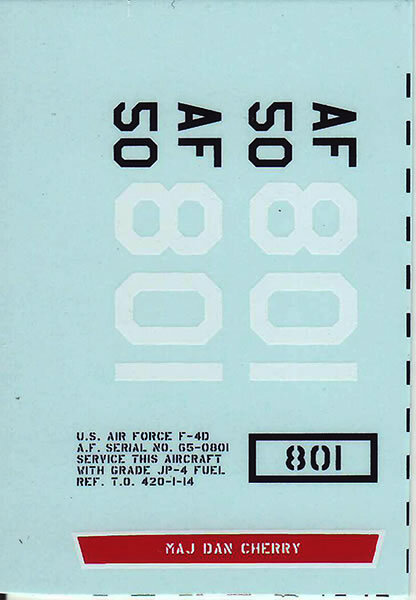 A copy of the information is here and a photo of the small decal sheet for the correction. If you have this sheet, the correction set is available, free of charge, from the Werner’s Wings web site. Thanks to Werner's Wings for the sample.